Shortly after purchasing my Touring Wagon, i found a great deal on some Legacy GT wheels. 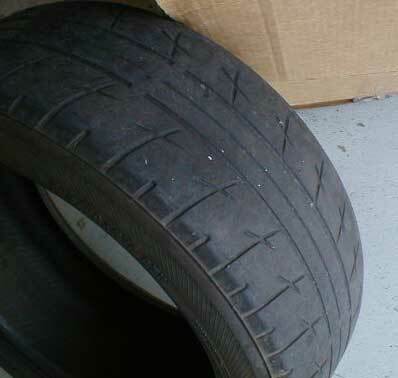 Included were some worn, but still usable Yokohama A520s. 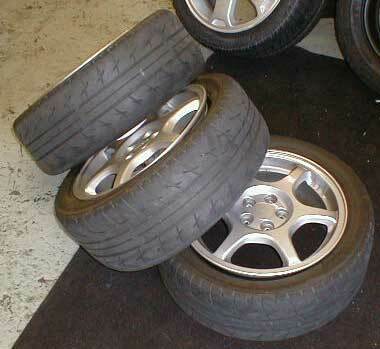 They turned out to be a reasonably good tire, and did pretty well in the autocrosses. They're terrible in the snow, but respectable in the wet. Road noise is one of the major complaints about them, and it's true, they're noisy. When i had the chance to get the RS wheels, it turns out that they had the same exact tires, in the same size, as i was using before. At least i was familiar with them. Well, not having installed camber plates yet, and having no way to adjust for camber, the tires wore badly and were showing cords recently. 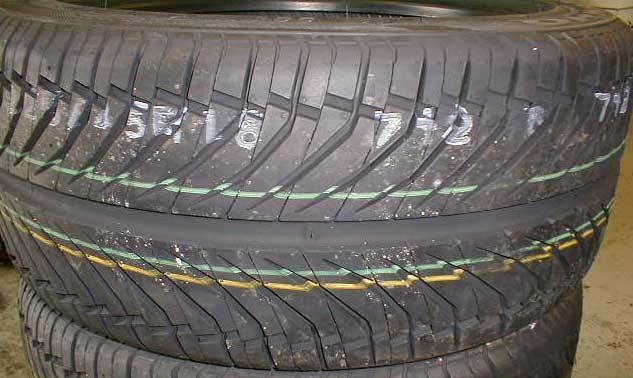 Time to actually buy tires. there are a LOT of choices in the high-performance category, but the trick is finding an affordable tire that will suit most situations and not break the bank. I'm not looking for an autocross tire, and one that i have to consider swapping when it snows lightly, so my options were reduced. Treadwear is also nice, as i'd like to get as many miles for my money as possible. Options from Yokohama, Dunlop, Sumitomo, BFGoodrich and Kumho were investigated. In the last year or so, Kumho has gaines a reputation for being a very good tire that doesn't cost much and does pretty good on the course, as well as offering good treadwear. Sounds promising. Further research, and the knowledge that the Wendover ProSolo was won by an RS Sedan on Kumhps, prompted me to contact Ray Chiang at Wheel Werks in Salt Lake City. Ray is a Mustang guy, owning two SVT cobras and a very fast CP 'stang, and he knows good tires. 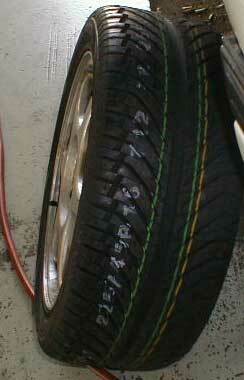 I was able to order in a set of 225/45ZR16 tires within a few days and have them installed promptly at his shop. You're probably thinking "What? 225? Don't they rub?" Nope, not with this suspension. In fact, even with the reasonable drop i have, i've had no rubbing in daily driving or on the course to report. The factors i can attribute to lack of rubbing are 1) Coilovers and 2) wheel width and offset. The fact that i'm using a coilover suspension instead of a strut/spring setup keeps the car from rolling. The RS wheels are 7" wide with a 53mm offset, just about perfect for this car. Coilovers also give me the ability to change to wheels with a more agressive inset and not get interference. Your mileage may vary with struts. Immediate impressions were that the ride was a little stiffer, as the sidewalls are very stiff on these tires. Even though i went with a 45 aspect, the sidewall is stil very close to the 205s because i went with the wider 225 width. Silence, sweet silence. These tires are all but completely silent until they're being pushed really, really hard. Even in aggressive road bornering, the only sounds heard are the tire grabbing for traction. Rolling noise is non-existent and almost eerie, since i was used to the Yoko a520s howling at me. In fact, i'm still getting used to my stereo being more effective at speed, and not having an audio cue as to my speed. 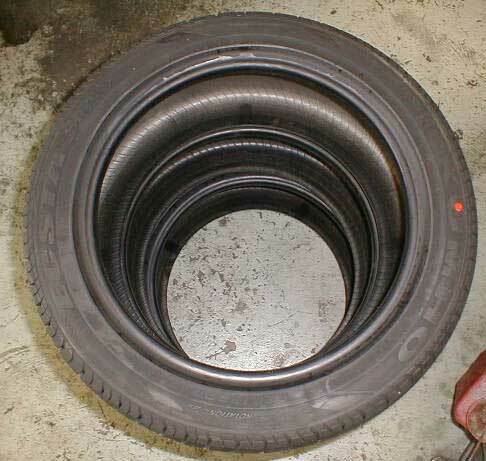 this tire is available in a LOT of sizes from places such as the Tire Rack. 225/45ZR16 sizes were going for $88 last i checked. 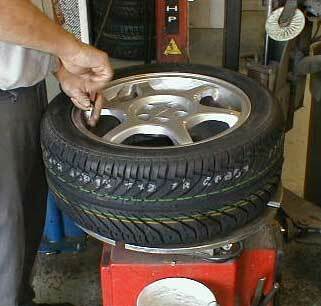 That's the cheapest of its size by $12, and $25 PER TIRE cheaper than the very old A520 i replaced. So far, no complaints. Very, very good tire.